If you needed more proof that Grand Theft Auto has become a cultural phenomenon, here you have it: Rockstar’s GTA V is once again topping sales charts, despite the fact that the game originally came out back in 2013. This is according to the ERA’s (Entertainment Retailers Association) latest chart, which lists the best-selling entertainment products of the year. Amongst these is Rockstar’s GTA V, which sits at number 13, having sold more than 300,000 copies in the UK during the first half of 2017 as reported on eurogamer.net. This makes Rockstar’s game the best-selling video game on the list, while other video games making the chart are Guerrilla Games’ superb Horizon: Zero Dawn and Ubisoft’s controversial Ghost Recon: Wildlands. The other two video games to make the ERA chart were Call of Duty: Infinite Warfare, which continues to thrive despite the negative fan reaction last year, and Resident Evil 7: Biohazard, one of the first truly successful games with VR support. But perhaps GTA V’s continued success is not a surprise after all, as the series has been going from strength to strength ever since the revolutionary GTA III hit the market back in 2001. 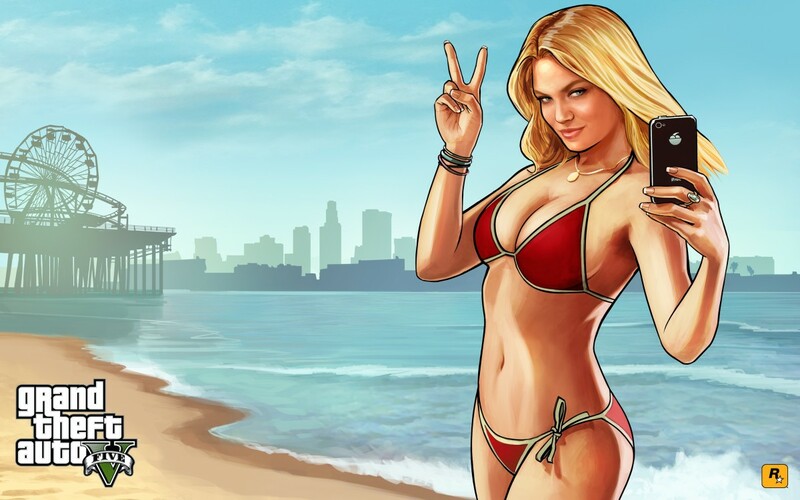 And each instalment of the series has been selling more copies than the last, while GTA V has also continued to sell strongly due to the success of the game’s online component GTA Online. GTA V has now reached the 80 million copies sold mark, which is certainly impressive for a video game, although it is still a long way away from being the top-selling video game of all time. To achieve this, it would need to shift almost 500 million copies to beat the all-time best-seller Tetris, something that seems unlikely at this point. The question is now, will Rockstar’s upcoming Red Dead Redemption 2 turn out to be as successful as GTA V? This also seems unlikely as the Red Dead brand is nowhere near as powerful as GTA, although that game is likely to outperform the original Red Dead Redemption when it comes to sales though. Next: Why was Hitman 2016 a failure? Why was Hitman 2016 a failure?